Below is an article that I have been referred to by a Chinese tea connoisseur and I have translated it from Chinese (Chinese website link is at the end of this article). He instructed that the tea leaves and honey had to be combined and stored for two months (though the article mentions a much longer period) and claimed that the recipe was very beneficial to health. Nothing more was revealed to me because it was meant to be "a secret recipe", but the web link was enough to pique my curiosity and inspire me to try the concoction myself. The two images you see in this page are what the honey tea leaves look like after storing for five weeks. As the article does not provide any information on the proportions of the tea and honey to be used, I just scooped enough raw honey to bind the tea leaves together. This artisan tea-making method has existed for more than a century. In the old generation, poor old farmers would combine aged Tie Guan Yin Tea leaves with matured winter honey harvested from the high mountains to make the Honey Tie Guan Yin Tea. This honey tea requires a long period of storage in well-sealed jars. The old farmers would normally distribute the honey fused tea leaves into small well-sealed jars and keep them for a long period of time. Honey possesses anti-bacteria properties that allow the tea to be stored for a long time without spoilage. Honey Tie Guan Yin Tea is an ancient traditional recipe. Many local old folks love to keep some quality grade Tie Guan Yin and make their own honey tea. After storing the honey tea leaves in a tightly sealed jar for many years, not only does this tea have a sweet honey fragrance, it is particularly effective in treating children's abdominal disorders and diarrhea, nourishing the stomach, expelling "heatiness", as well as curing cough. If you have a cold or cough, simply brew some honey tea leaves and drink. It is an extremely effective cough medicine. In the olden days when medications were not so widely available, this honey fused tea was the farmers' precious folk remedy. In recent years, some tea enterprises launched the so-called Honey Tie Guan Yin Tea. 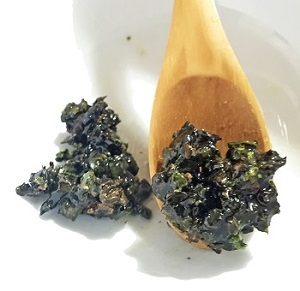 Tie Guan Yin tea leaves, honey and pearl powder were combined to make the honey tea. Pearl powder was not one of the raw materials in the original ancient recipe. It was added to the modern day recipe. It was rare to find this honey tea locally because most of it was exported. Due to the high cost of producing authentic honey tea, the number of manufacturers has fallen in the last few years. Furthermore, it is not always so easy to produce the tea because of its rather strict manufacturing requirements. The authentic honey tea recipe calls for matured honey from the high mountains and at least seven year-old, top grade charcoal baked Tie Guan Yin from Anxi. The raw materials are then combined in a specific ratio before storing them in tightly sealed jars. 3. Match different tea blends with the different honey varieties to customize and satisfy personal preferences in taste and gain different health benefits. : Perfect Match of Tea and Honey. 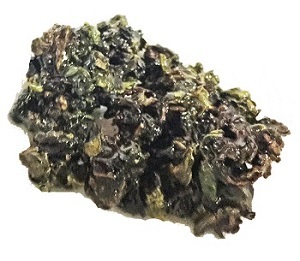 End of "Let this 100-Yr-Old Honey Tie Guan Yin Tea Recipe Surprise You!". Back to "Oolong Tea for Weight Loss"